Home - Philippe Foundation Inc. The Philippe Foundation is a non-profit corporation founded in December 1953. Its purpose is to encourage, assist, aid and support scientific and medical activities and research by giving grants to doctors and scientists (post-graduates) interested in exchange programs between France and the United States, specifically in medical laboratories. The grants are designed to encourage and facilitate Franco-American exchanges, but cannot provide the primary source of support. They are awarded to individuals and not to laboratories or institutions. - The Philippe Foundation will only consider candidates who have completed a PhD in Science. For medical doctors, this requirement may be waived, but they should have a significant list of publications. 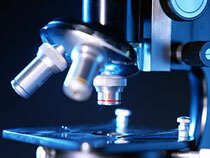 - The host lab has to be focused on medical research. - Will only be considered those who have been staying in the host country for less than 2 years. - The grantee is required to provide the Philippe Foundation a research report. This report and the applicant's list of latest publications (published and in process) are due upon completion of your exchange program, within 3 months of the return from host country. All documents received from the applicants remain strictly confidential. Go to the Applications page to download the necessary documents. Any question : Contact us or visit our FAQ page.